Sears wants you to get everything under the tree with this new holiday coupon! Save up to 20% off with the promo code below! 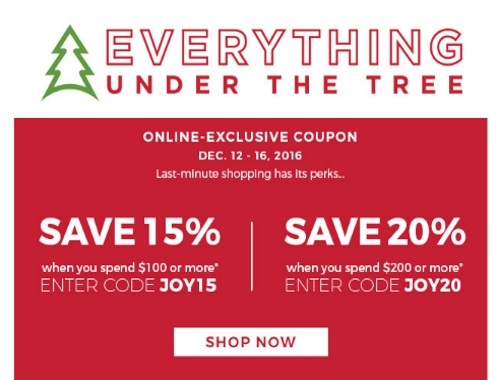 This is an online exclusive coupon available December 12-16, 2016.